These three words represent an association with these THREE (3) local post-rock bands, to form a new brand that consolidates the music of a new era and brotherhood. 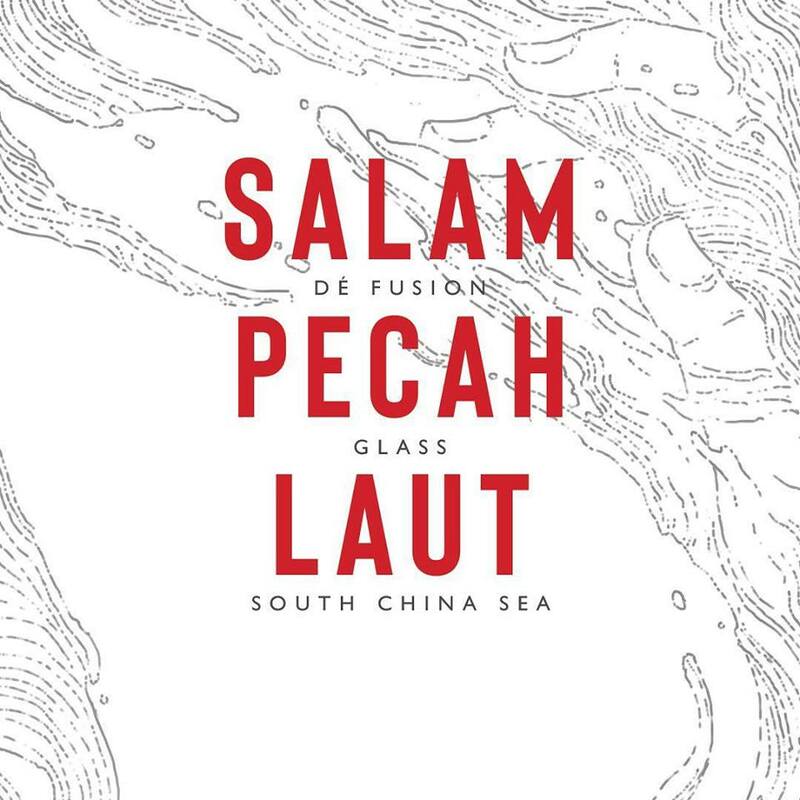 South China Sea is a band split geographically by that very sea as half the band hail from Kuching and the other half from KL. They come together after a hiatus to stir up mosh pits and dance parties with their edgy, modern psychedelic music. GLASS is a 4-piece outfit that offers their local take on post-rock. They break boundaries by using theatre devises to invoke a more direct emotional response in contrast to their ambient soundscapes and melodic hooks. Dé Fusion consists of members that grew up playing music together in the same neighbourhood. With heavy riffs that create a dark ambience, Dé Fusion makes noise and makes all the space between it count. These three spectacular acts came across Malaysia touring together alongside some old and new bands in the scene. 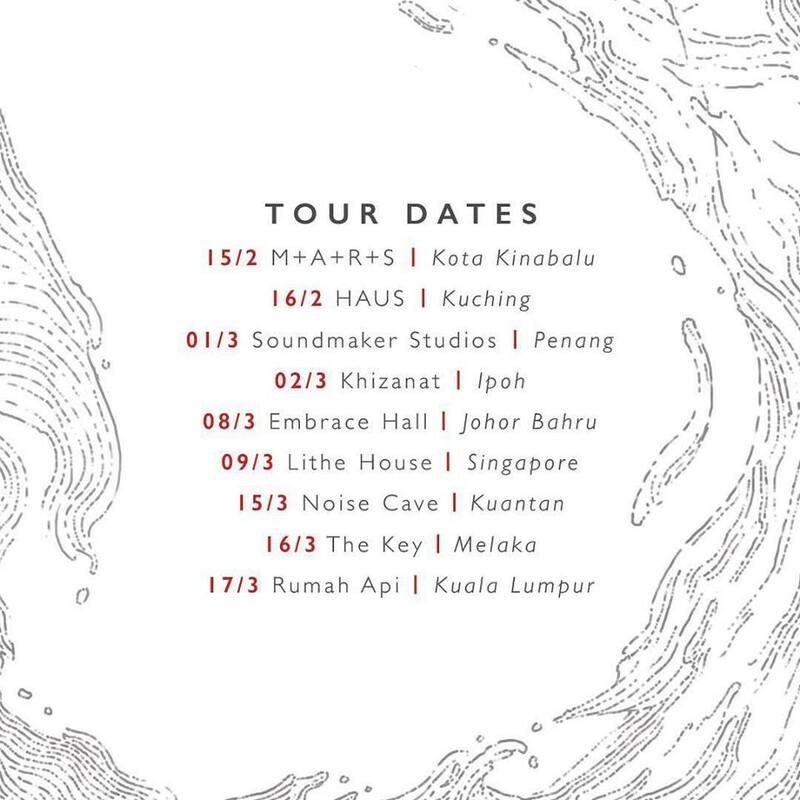 Salam Pecah Laut Tour is a collaboration project between these 3 local bands that is “the trinity of today’s local post-rock”. ...and DèFusion’s debut EP ‘Kontramata’. 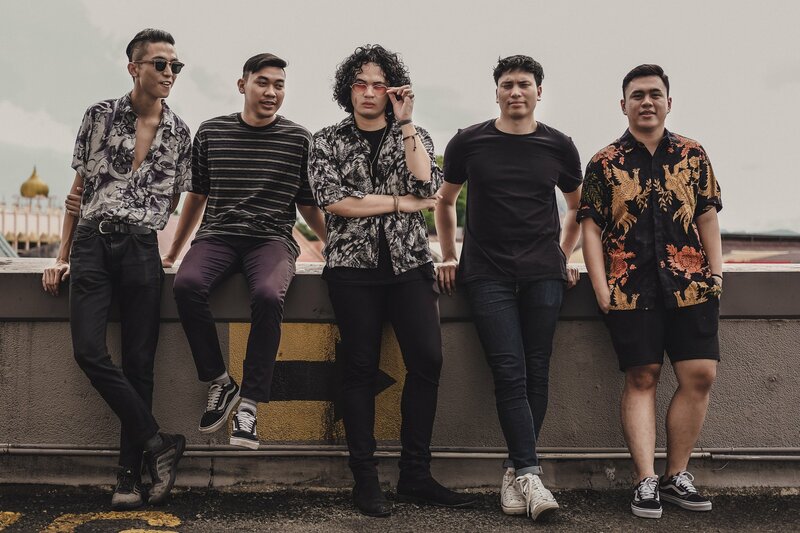 The bands have been touring across Malaysian states since February and one venue in Singapore and have just wrapped up. Organized by the bands themselves, the shows set in each venue has a distinct style and feel to the mood of the event - bringing a certain energy to each performance from each of the bands. Stage props and lighting, projection mapping and smoke machines, not the typical setting you will find at a normal gig. Even the door entrance of each venue has been added a touch of #SalamPecahLaut with props. 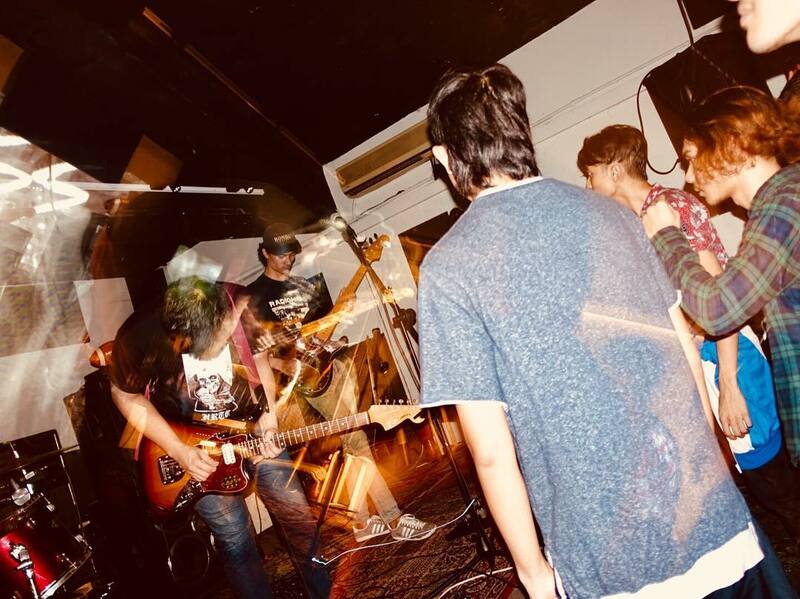 It's not common at all to see such efforts being projected towards an underground non-funded event and these we’re all done by the bandmates themselves. Full on D.I.Y, that’s Punk! All visuals throughout the tour were produced by local projection artist, Faris Zahari (photo below) -- a self-taught artist who spends his days brewing coffee and cooking excellent meals and his nights becoming a Visual Wizard. To wrap up the entire journey of the tour, the boys from Dè Fusion are presenting a showcase to officially release their debut EP ‘Kontramata’ and EVERYONE is invited! On the 23 March 2019, DèFusion will officially release their freshly baked material and its up for grabs. This may as well be a historical event happening contributing to our local music scene. Happening at Live Fact, Kota Damansara alongside 3 other guest bands. Before you listen to their track, you should most certainly witness them live first. Trust me, you won’t regret it.